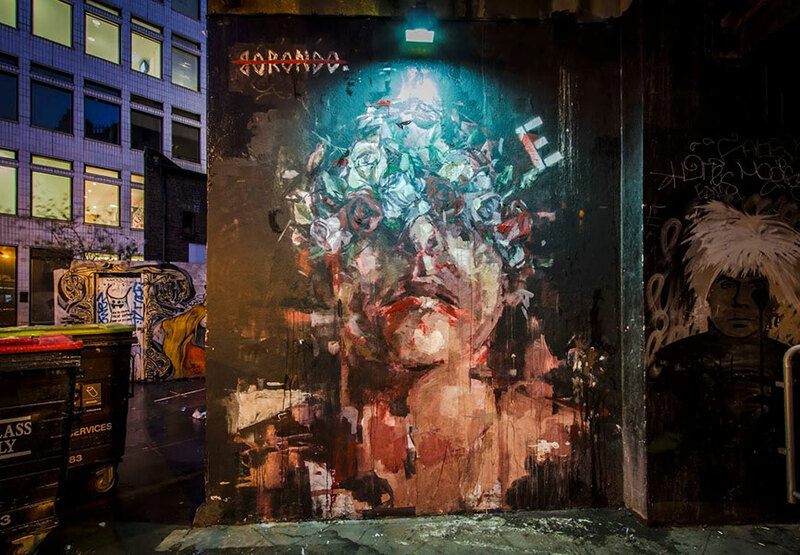 Borondo is residing in London at the moment. The residency has produced an unbelievable set of murals. 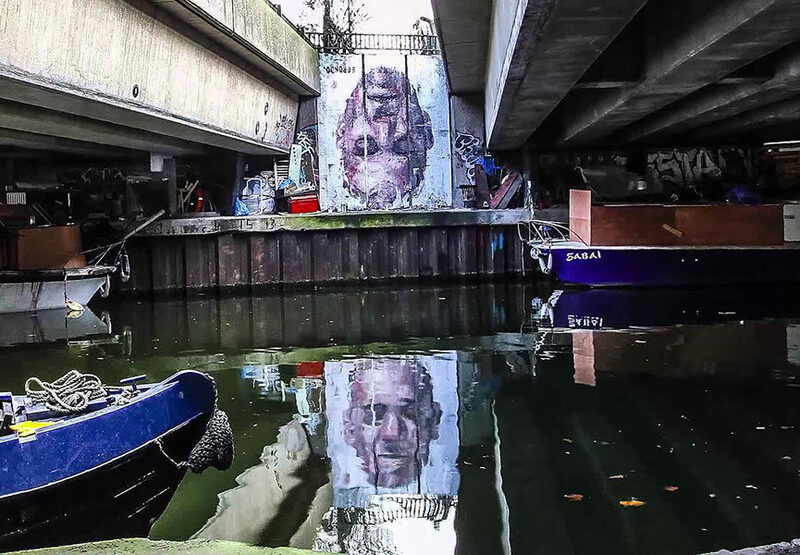 In early February Borondo painted the “Narcissus” mural underneath a bridge crossing a river. 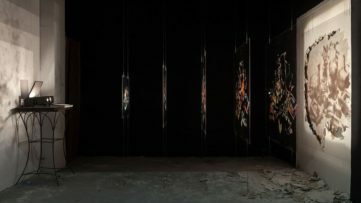 The piece’s standout characteristic was Borondo’s play with the surrounding environment. The artist painted the portrait upside so that the waters mirrors the mural in its natural position. 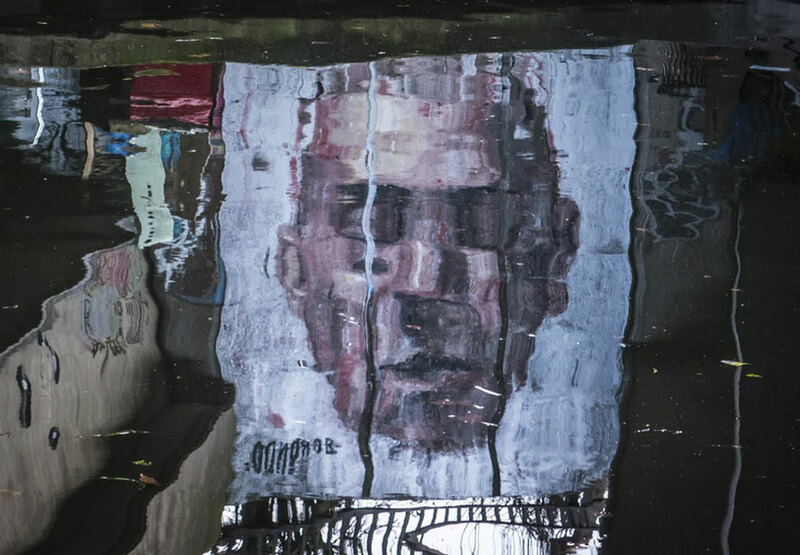 “Narcissus” is testament to Borondo’s versatility, creativity and innovative thinking. One month later (whether he left or not is unknown) he created the mural “Looking For”, another displays of his creative power. The mural depicts the roller paint portrait adorned by a flower bouquet. The real highlight comes when the sun goes down over London. The lamp above the mural illuminates the man’s flower decoration. 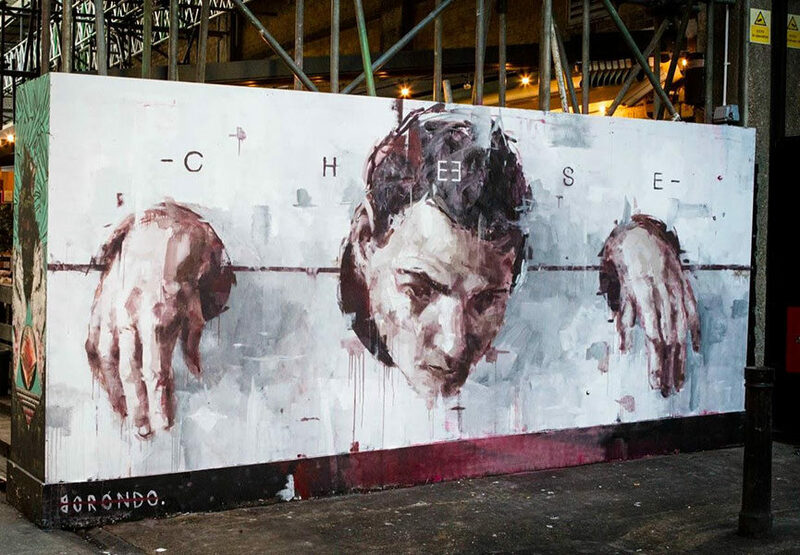 The next stunning piece Borondo painted was “Cheese”. 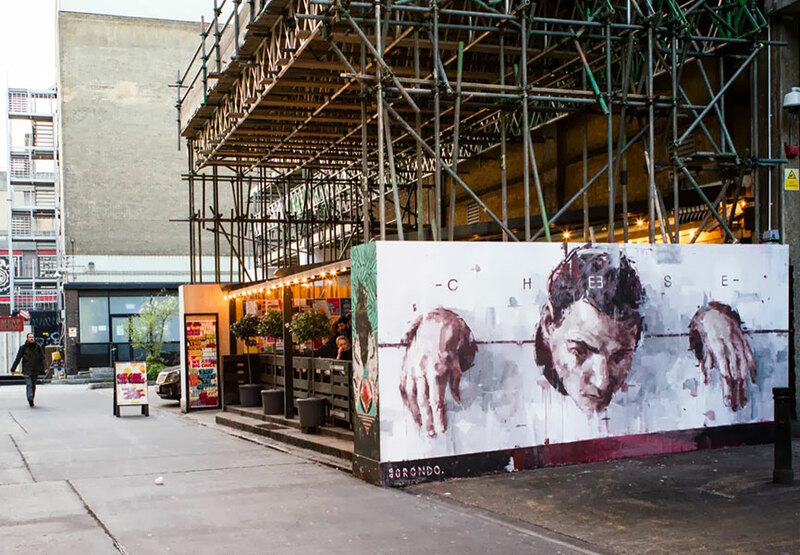 The white-grounded mural depicts a man locked into a pillory. 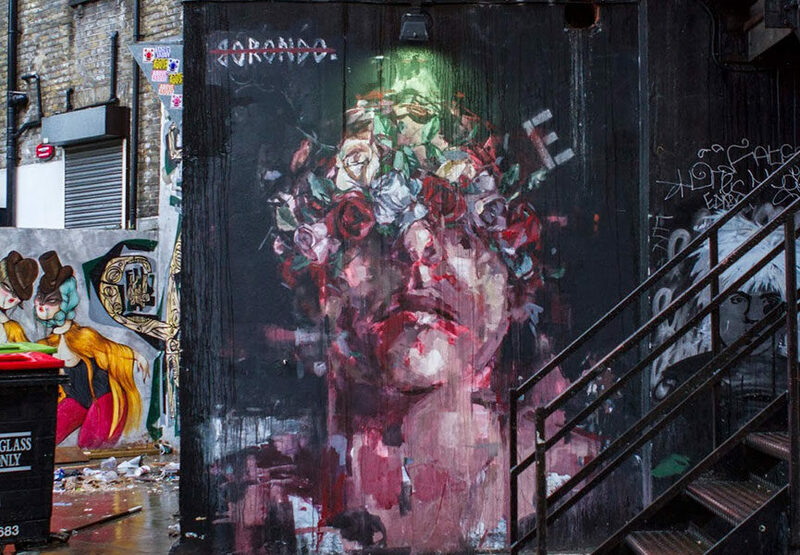 Borondo traverses the piece with graphic lettering that spells the murals title. The latest piece was proof of the universality of his skills. 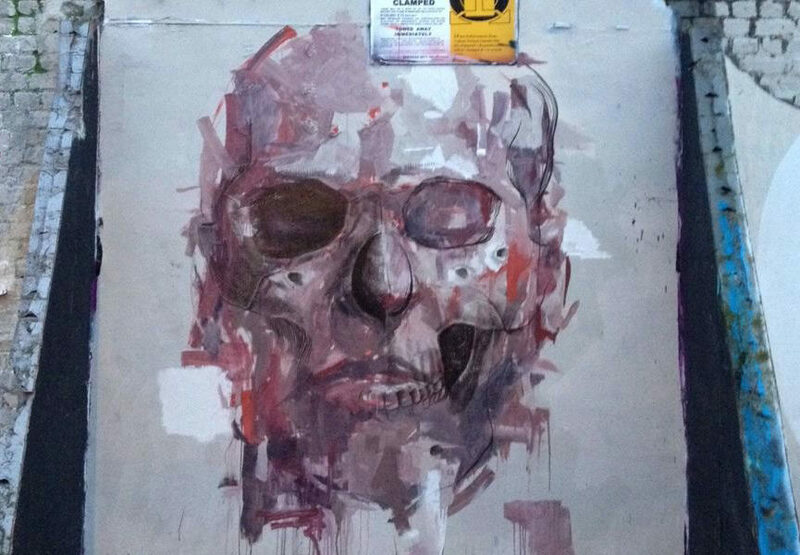 Fluidly the skills of Alexis Diaz and Borondo merge to create a beautiful artwork. Right next to another magnificent piece by Pixel Pancho. 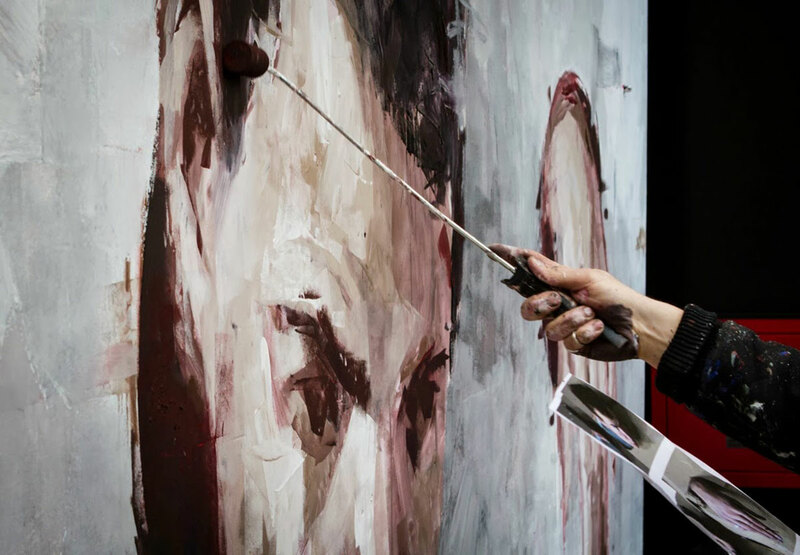 There are not many artists that are so diverse while remaining true to his artistic direction as Borondo. 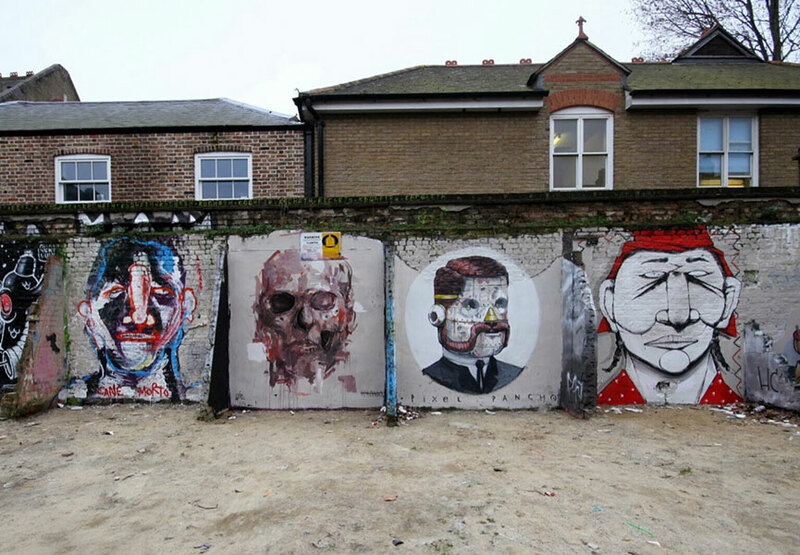 That is why (long-since overdue) Borondo is Widewalls’ Artist of the Week. 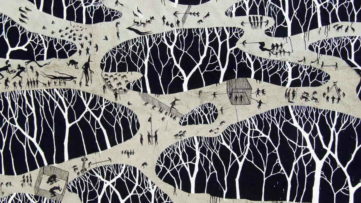 Gonzalo Borondo was born in 1989 in a small town in Spain, Valladolid, but immediately goes to live in Segovia, the city that first affect its artistic choices and that will help you understand what are the best places to work: the streets, walls and squares become the preferred source to arrive at the knowledge and self-expression. 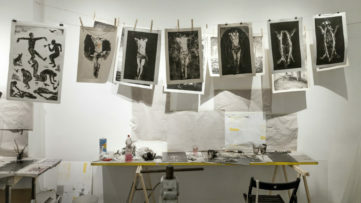 At fourteen, Borondo moved to Madrid and here he attended the Art School and the Academy of Fine Arts and began doing graffiti tags around the city and the classic bombing on trains, put in its work of puppet – which decreases the letters and increase the drawings – but it soon becomes clear that is not the style that characterizes his artistic language more mature. For a short period he also serves on stencils with the aim of launching political and social messages.